Headquartered in Istanbul Turkey, Acidadem is a multinational developer and operator of medical facilities. 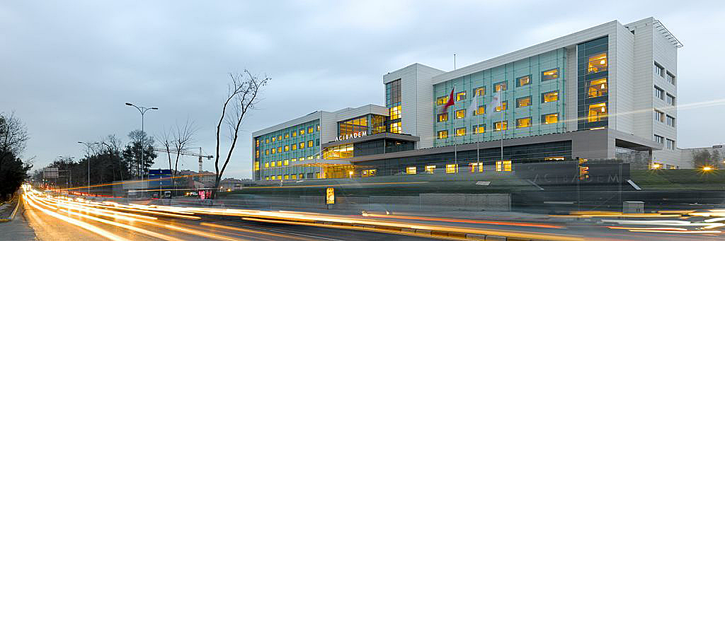 This project consisted of the design of hospitals in the cities of Istanbul, Kyocera and Ankara. The primary architectural task was the development of the main public spaces and the exterior design of the buildings. Maslak Hospital is the flagship facility of the company. It features a central, four level lobby connecting two wings containing a total of 200 beds. The primary facades are clad in large-scale ceramic panels and feature an energy saving, half meter wide double wall system clad in glass.